When we got up this morning there were a couple of official-looking guys digging up the front of our yard, so Sharon felt compelled to ask them what they were doing. We are apparently getting a new water line today! 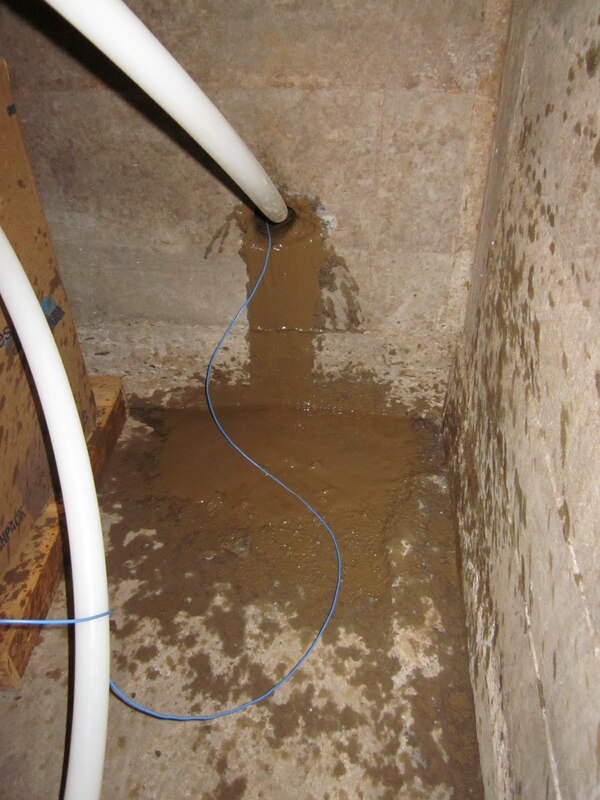 That in of itself is not a big deal—but Sharon thought the way they did it was impressive and wanted to share with others who may also someday need a new waterline. First, they dug out the utility box at the street. 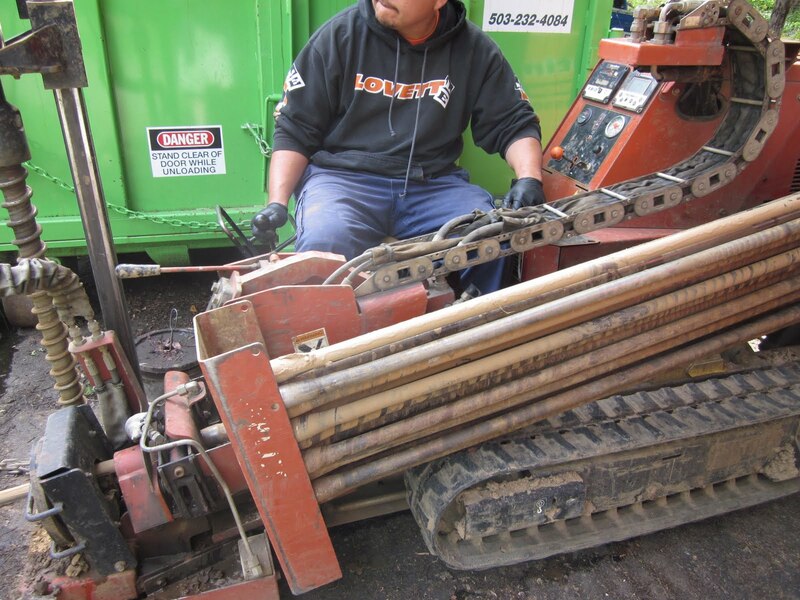 Then they brought over this big machine to the hole. Next they actually drilled underground to the house; it also drilled through our basement wall. 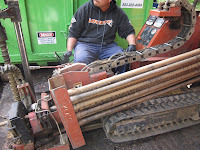 Finally, they hooked the pipe onto the drill head and pulled it back through the hole as they pulled out the drill. The whole process took something like an hour and made relatively little mess. We just had one puddle of muddy water in our basement where the drill burst through. Pretty cool.